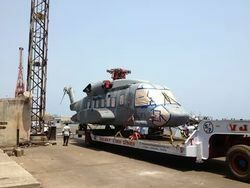 We specialize in carrying Bulk CARGO anywhere in India. All the major cities are well connected through our network. Syndicate Carriers is a largest Road transportation service provider in India. Our main services include. As the bulk transporter, Diamond Roadways specially provides best solutions or otherwise alternatives regarding the transportation of bulk cargo such as steel, coal, ore, steel, grains, etc. The transportation solutions are specially designed to maximize capacity, safety and efficiency. We cater to the dry cargo transportation, break bulk and project cargo sector globally. we transport bulk of construction material - Aggregates, GSB, Coarse Sand, Dust, Fly Ash etc. with suitable means - open body trailer across projects. Transporting the bulky materials and products is not at all problem to us. We expertise into transporting bulk products. We have years of experience and right expertise in transporting bulk products. We are one of the noted service providers of the market, who are engaged in offering services for Bulk Carrier Transportation Services. To offer these services, we have a team of skilled manpower and supervisors who make sure that the goods are safely transported to their final destination. Fostered with rich industry experience and in-depth market knowledge, we are able to provide Bulk Chemical Transport Service to the clients. Ekta Highway Carriers Pvt. Ltd. Different Type of Vehicles For different Type Of Transportation. We specialise in carrying Bulk material anywhere in India. We Offer different type of transportation vehicles that matche's customers need. 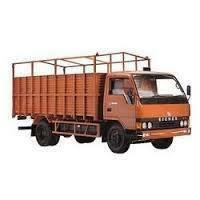 - Extention of transport by trailers as per the customer requirement. - Guaranteed Delivery Services(GDS) on spcial request. - Octroi Management in Pune. - Door to Door delievery of special consignment.